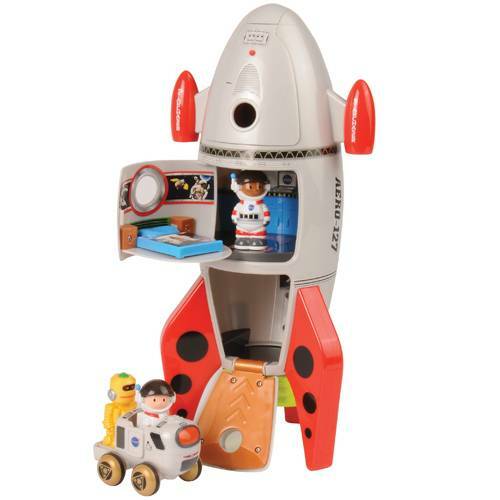 5, 4, 3, 2, 1, Blast off to adventure! 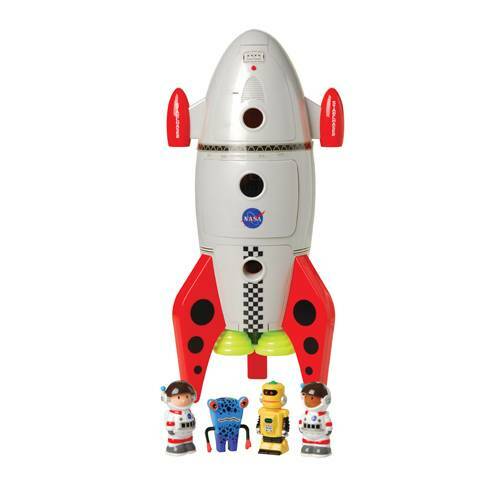 Take your child’s imagination to outer space with this Space Mission Rocket Ship. 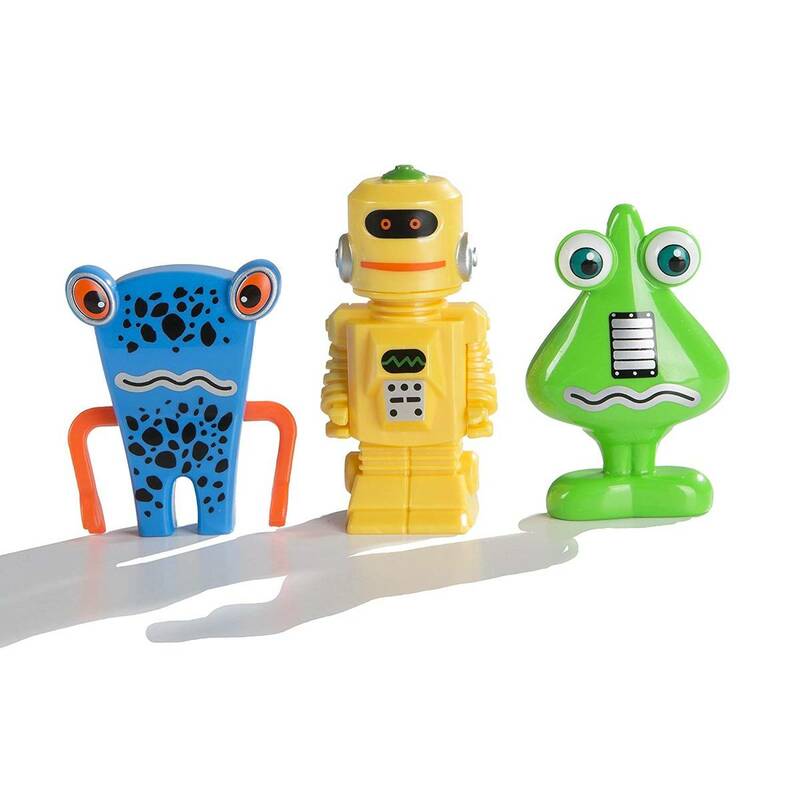 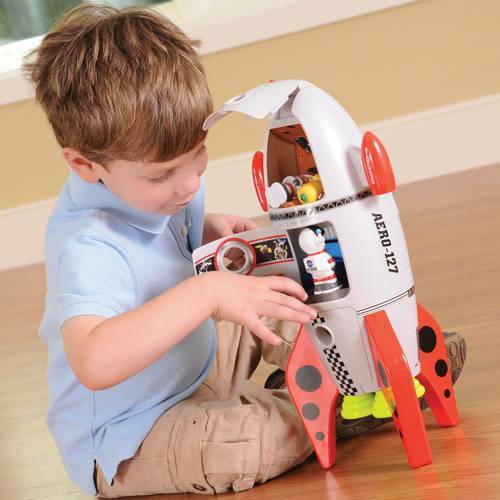 Your little astronauts will love planet-hopping with this toy rocket ship. 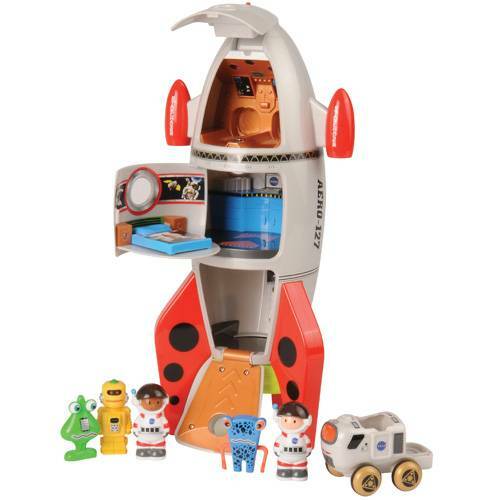 Open the cockpit door, place the astronauts inside and prepare for takeoff! 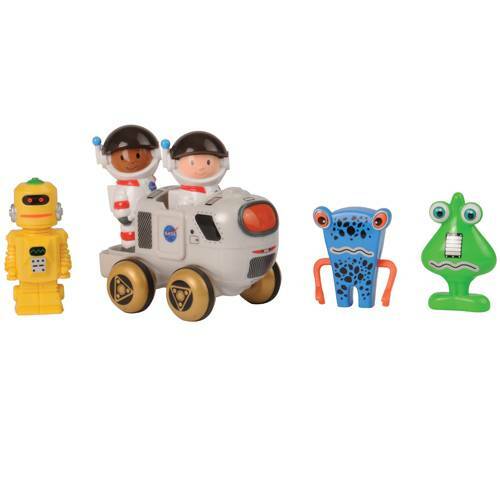 Lower the ramp allowing new alien friends aboard. 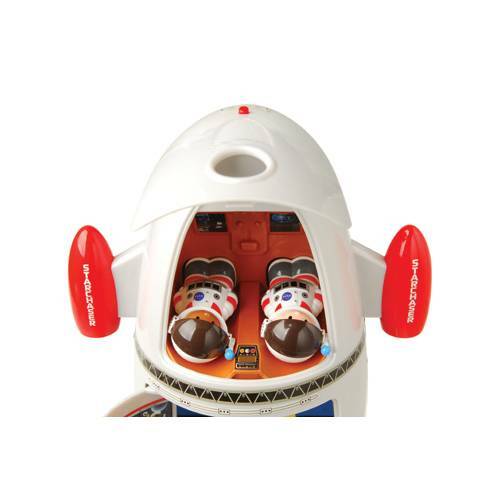 This electronic space ship even features living quarters with a bed for those long missions.